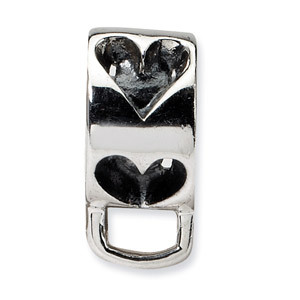 .925 Sterling Silver Clip-on Heart Bead. This bead is the base for any of the clip-on charms. Bead measures approximately 6mm wide and 12mm long. We guarantee our .925 Sterling Silver Heart w/Loop for Click-on Bead to be high quality, authentic bead jewelry, as described above.